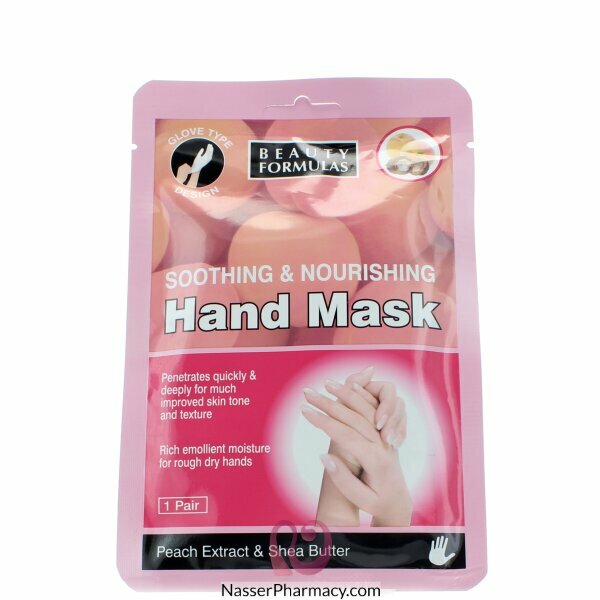 The soothing and nourishing Hand Mask is a rich emollient treatment for dry rough, chapped hands. Enriched with Peach Extract and Shea Butter, Honey and other natural anti-oxidants to nourish and improve skin tone and texture. Usage Instructions: Wash hands and dry. Open pouch, remove gloves and use immediately to prevent drying out. Leave the gloves on for about 20-30 minutes and then remove.